Aussie is an Australian retail financial services group with operations spanning all capital cities and major regional centres throughout Australia. Bringing competition and innovation to the financial services industry since the early 1990’s, Aussie has enabled many Australians to build a strong financial future for their families. 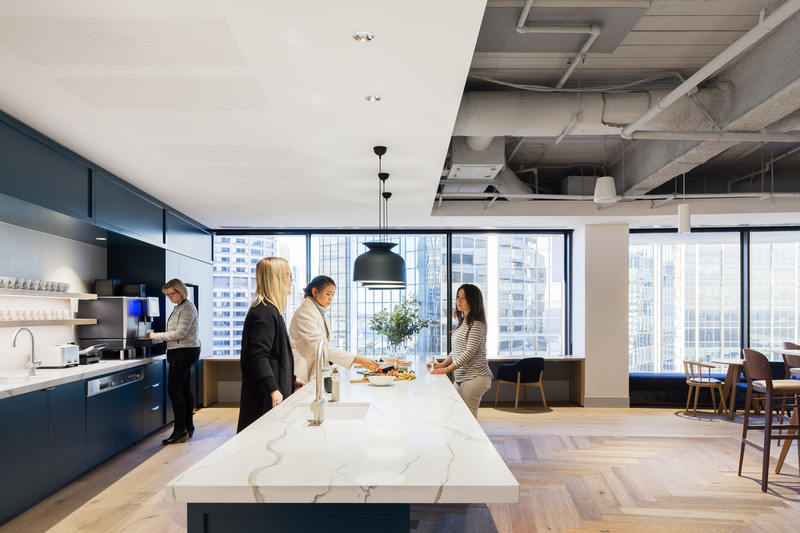 Their brief to us for their new headquarters in Sydney’s iconic Grosvenor Place was to create a timeless, warm and welcoming workplace. 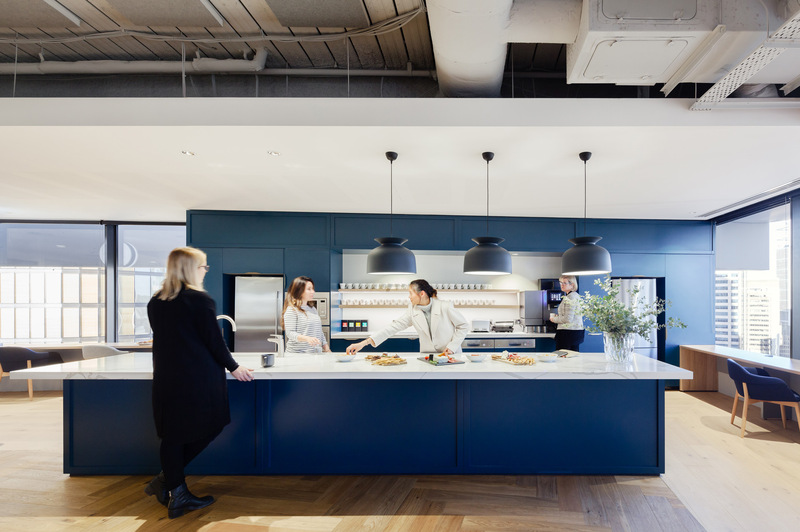 It was vital that that workplace be subtly but uniquely Australian. An important driver was to acknowledge the heritage of the brand and express Aussie’s values of being forward thinking, Australian owned, trusted and welcoming. The organisation has adopted a new innovative way of working that provides flexibility for their staff. 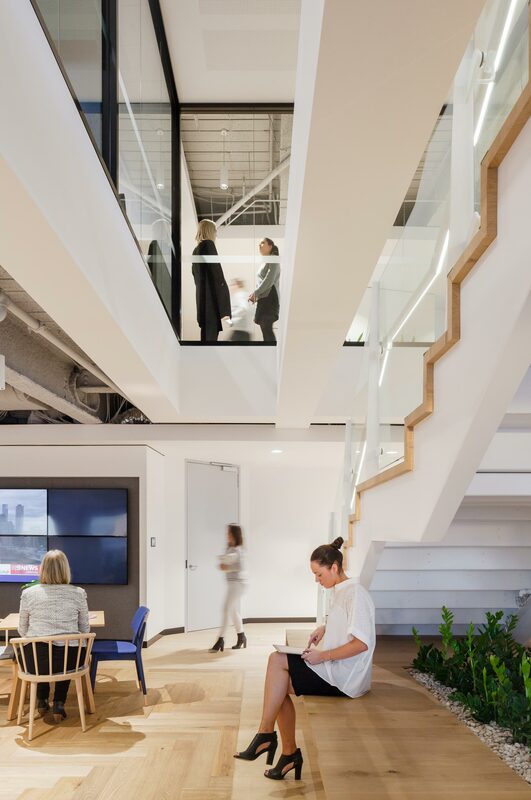 The space consists of Workplace Studios, Client Engagement Space and Social Hubs, as well as an interconnecting stair to encourage movement and connectivity throughout. It also incorporates flexible client facing spaces that embrace the iconic view and accommodate broker events. 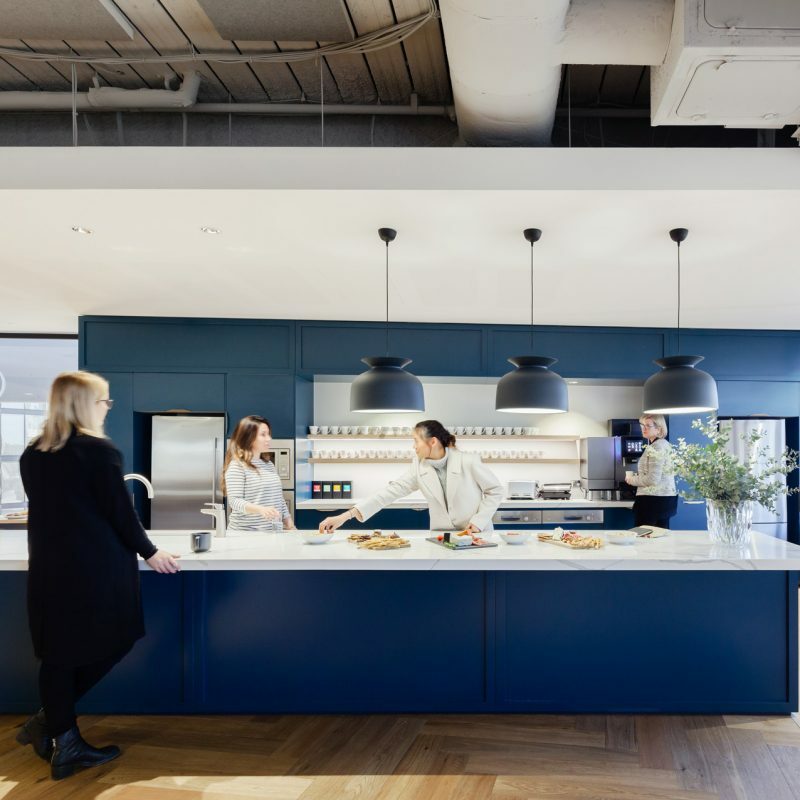 Highly collaborative settings and focus spaces, town hall areas and a variety of work settings are included in this very agile work environment. It was vital that that workplace be subtly but uniquely Australian.